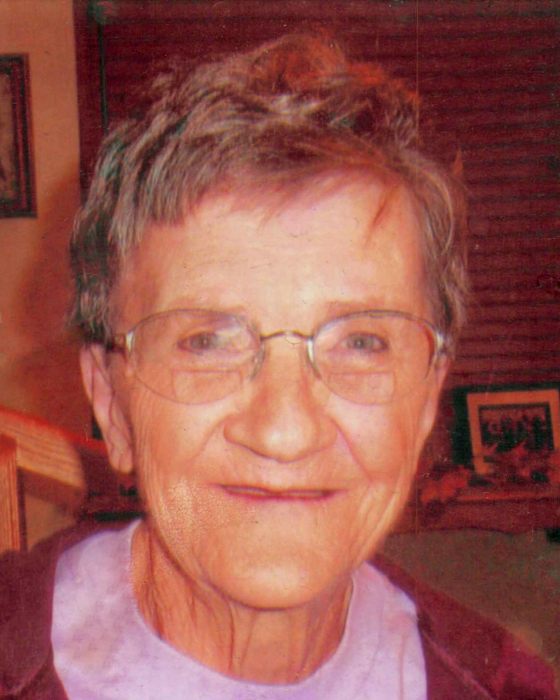 Muriel May Dulski, age 79, formerly of Perham, MN died Sunday, November 25, 2018 under hospice care at the Centerville nursing home in Centerville, SD. Visitation will be from 5:00-7:00 p.m. with a prayer service at 7:00 on Monday, December 3 at Schoeneberger Funeral & Cremation Service, Perham. Inurnment will be at a later date in St. Stanislaus Catholic Cemetery, Perham. Muriel was born December 8, 1938 in South Dakota to Eugene and Emma (Hill) Georgeson. On December 29, 1959 she married David Dulski in Yankton, SD. They moved to Perham in 1966 where they raised their five children. Muriel is survived by her children; Benita (Tony) Paul of Perham, Daylene (Casey) Elliott of Cincinnati, OH, David (Lisa) Dulski of Perham, Cynthia Dulski of New York Mills and Cory Dulski of Perham; eleven grandchildren; Brittany (Darin) Johnson, Bret and Austin Paul of Perham, Parker Underthun and Ilyse Underthun of Cincinnati, OH, Jackie Wells of Perham, David (Brittany) Dulski of Langdon, ND, Jordyn Dulski of Perham, Correena Dulski of Perham, Mason Atchley of Nampa, ID and Gage Dulski of Perham; 8 great-grandchildren; Emma, Ethan and Evelyn Johnson, Greyson Paul, Kasen and Bently Dulski, Charliegh Wilson and Decklan Mitchell; sisters Lillian Georgeson, Bonnie Harmon and Darlene Lippert and brothers Robert Georgeson and Roger Georgeson of SD. She was preceded in death by her parents Eugene and Emma Georgeson and her husband David Dulski. Muriel continued to love her husband, David, hoping one day to dance with him again, something they both enjoyed doing as often as they could. Muriel loved her children and spoke of them often, laughing at the stories of the grand and great-grandchildren.